Tekken 7 was released on PC, PS4 and Xbox One 691d ago in the UK. Based on 26 Tekken 7 reviews, Tekken 7 gets an average review score of 81. Tekken 7 is a hallmark fighting game that's both accessible and highly technical, with great customization options. If you’re a fighting game fan then, Tekken 7 is absolutely essential in my book. Bandai Namco has knocked it out of the park with this game. Tekken 7 is back and shouldn’t be missed, regardless of your skill level. Tekken 7 remains an addicting technical fighter that constantly beckons you for just one more round. You should probably go buy it now. Tekken 7 is the game that comes closest to truly satisfying both parts of the fighting game market. Tekken 7 is a fantastic fighting game, and one of the best entries in the series. Tekken 7 is one of the best titles in the 23 year-old series. Tekken 7 does a good job of bringing the franchise up to standard on the current round of consoles. While Tekken 7 has a few problems, the positives certainly outweigh the negatives. I came away from Tekken 7 with a greater appreciation for the series than I went in. Despite some narrative missteps, Tekken 7 is still a compelling, exhilarating experience. There’s no denying the gameplay and characters are still a huge amount of fun. After a long drought on consoles, Tekken is back — and with a vengeance. At the end of day, Tekken 7 is a great fighting game, possibly one of the best, if you plan on playing with others. For better or worse Tekken 7 stays grounded to its arcade roots. 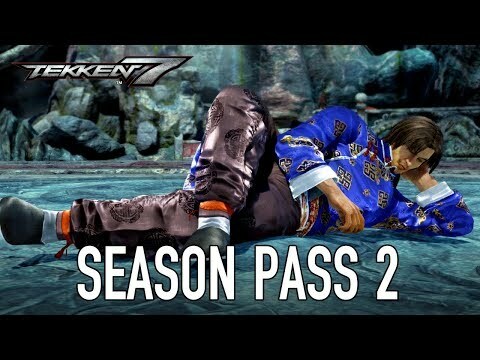 If you have been out of the Tekken game for a while, it is finally time to return. Tekken 7, the latest entry in the long-running franchise, delivers what fighting genre fans love about multiplayer battles. Tekken 7 is institutional progress and austere form cloaked in spectacle and absent of risk.